AUCKLAND (Pacific Media Watch): Three West Papuan student activists entered the Australian consulate in Bali this weekend with calls on Australian Prime Minister Tony Abbott to open up for greater press freedom and push Indonesia to release at least 55 political prisoners jailed in the Indonesian-ruled region. “We want the Indonesian government to lift the 50 year restriction it has imposed on West Papua. 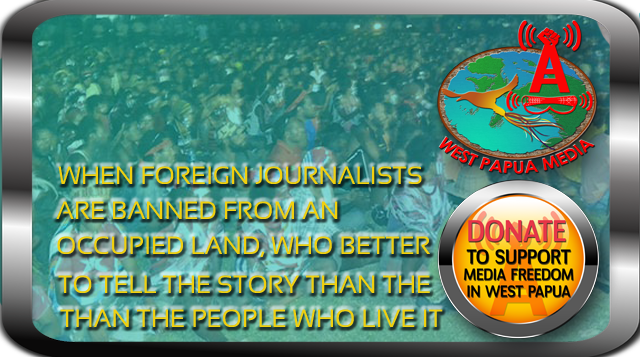 “We want foreigners, including journalists, diplomats, observers and tourists to be able to visit West Papua freely without asking for special permits,” the West Papuans wrote in an open letter addressed to the Australian people. The student activists said in the letter they wanted to deliver a message to the leaders attending the 25th Asia-Pacific Economic Cooperation (APEC) summit in Bali this weekend. Several organisations have asked Australia to give sanctuary to the three West Papuans, but according to Australian Trade Minister Andrew Robb the West Papuans did not seek asylum. “They left [the consulate] voluntarily so the matter’s been resolved,” Robb said, according to Radio Australia. The Guardian, however, reported that the consul-general had warned the three West Papuans that the Indonesian army would be called if they did not leave the consulate. One of the students, Rofinus Yanggam, told the newspaper the group left in fear of their lives. Australian independent senator Nick Xenophon called on Foreign Minister Julie Bishop to give sanctuary to the three West Papuans. 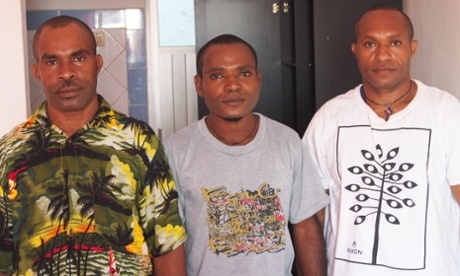 “These three young men were not asking for West Papuan independence from Indonesia. All they were asking for is entirely consistent with the Lombok Treaty of 2006, signed by both Australia and Indonesia,” he said, according to AAP. “Instead of getting sanctuary and help, the Australian government effectively threatened them and now there is serious concern over the activists’ safety,” Xenophon said. Professor Clinton Fernandes at the University of New South Wales backed Xenophon’s call. He said when the media circus had moved on after APEC, the trio “may be tried, most certainly they will be beaten, and at some point might be disappeared”. Rinto Kogoya, co-ordinator of the Alliance of Papuan Students, said it was time the world understood what was happening inside the province, which was officially acquired by Indonesia in 1969. “The international community doesn’t know the reality in Papua. The military oppresses the civil society – we’re not free to do anything – and I think this is the moment to open democracy to Papua,” he said in The Guardian. Joe Collins, of the Australia West Papua Association (AWPA), was alarmed by the events at the Australian consulate in Bali. “It’s of great concern that they [the West Papuan students] may have been coerced to leave as the students would have great reason to fear the Indonesian security forces. “There are ongoing human rights abuses in West Papua and the security forces have been banning and cracking down on recent rallies to try and stop international attention being focused on the territory,” he said in a statement. AWPA wrote a letter to the consul-general Brett Farmer in Bali yesterday asking for “clarification” regarding the students. “We understand that they have now left the consulate and we would like clarification from you if they left voluntarily or as some media reports have indicated that they were told that they would be handed over to the Indonesian military if they did not leave,” AWPA wrote in the letter. Australian Green senator Dr Richard Di Natale has also joined those who have called for Australia to give sanctuary to the three West Papuans. “By speaking out in this way, these brave West Papuans have put their lives in serious danger. “If Australia fails to offer them protection, I have grave fears for their safety,” he said in a statement. Yet another senator to voice his support for West Papua this weekend was John Madigan. “It is about time our government had the courage to stand up to Indonesia, instead of ignoring the issue of West Papuan oppression and the human rights abuses that occur there on a daily basis,” he said in a statement. He also said he demanded that the Australian government provided sanctuary for the three West Papuans. The issue of the West Papuan students came just days after pleas from several organisations that Australia should not deport seven West Papuans who arrived in the Torres Strait Islands in northern Queensland recently. The group of seven, who took part in the recent West Papua Freedom Flotilla sought asylum in Australia, but were deported to Papua New Guinea under a memorandum of understanding between Australia and Papua New Guinea, Radio New Zealand International reported. Refugee advocates in Australia said the deportation failed to abide by the Refugee Convention that Australia was a party to. Spokesperson for the West Papua Freedom Flotilla Izzy Brown said she wanted to draw the United Nations’ attention to Australia’s commitment to the Refugee Convention. “It’s really unfortunate that Australia thinks it can send asylum seekers offshore without due process or just blatantly illegally deported like in this case here, and we really want to try and draw the world’s attention and especially the UN’s attention to Australia’s behaviour in this matter,” she said. Daniel Drageset is a Norwegian radio journalist enrolled in the Master in Communication Studies degree at AUT University.